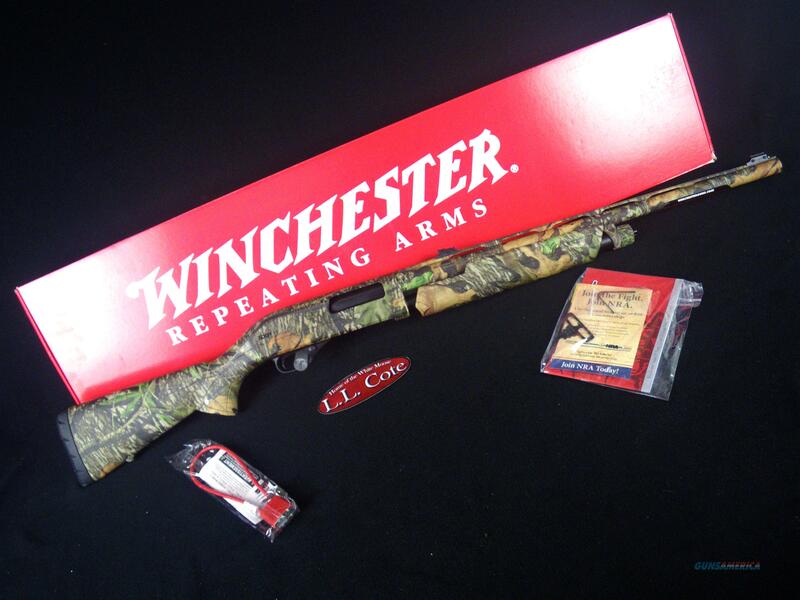 Description: You are bidding on a Winchester SXP Turkey Hunter in 12ga with 24" barrel and 3.5” chamber. When you need to put a shot pattern the width of a softball into the head and neck of a big Tom, you need a shotgun that aims like a rifle. The SXP Turkey Hunter Mossy Oak Obsession comes with adjustable fiber-optic rifle sights and is drilled and tapped for optics. The SXP is designed with a chrome-plated bore and chamber, which makes for easy cleaning, long barrel life, and above all, resistance to the harsh elements. They've also use black-chrome instead of traditional bluing on the bolt and other key components, giving them superior inherent lubricity for the most reliable cycling you can find in a pump shotgun.This 12 gauge model features a full Mossy Oak Obsession finish, synthetic stock, back-bored barrel, crossbolt safety, TruGlo Fiber optic sights, and one Invector-Plus X-Full Turkey choke tube. Displayed images are stock photos. Any questions please feel free to ask (our phone number is in the additional information tab above).